Who is the Center of the Hollywood Universe? 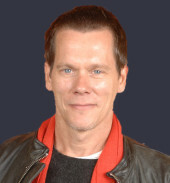 Hopefully, you've played around a bit with The Oracle of Bacon and discovered how few steps are necessary to link just about anybody who has ever been in a movie to Kevin Bacon, but could there be some actor or actress who is even closer to the center of the Hollywood universe? The answer turns out to be: yes. By computing the average of these numbers we see that the average Jackson Number is about 2.978 making Jackson a better center than Bacon. This is not to denigrate Mr. Bacon, and it should be noted that being the 565th best center out of 412.7 thousand people makes Bacon a better center than 99% of the people who have ever appeared in a feature film. A list of the 1000 best centers in the Hollywood universe is available for your enjoyment. for an average of 10.252!